My name is Heather Varnau and I am a Licensed Mental Health Counselor (LMHC) with private psychotherapy practices in both Anacortes and Lopez Island in the San Juan Islands of Washington State. I have 15 years of clinical experience working with individuals, couples, and families from various backgrounds. We all try our best to love and be loved. Sometimes how we learned to cope with stress and disconnection becomes a problem by negatively impacting our relationship to ourselves and those closest to us. Who we are is not the problem. Therapy can help us be more aware, communicate better, and make healthier choices when coping with stress and disconnection. We learn essential tools to feel better about ourselves and in our relationships. When we experience feeling good about ourselves and our relationships we feel supported and motivated to continue our awareness, communication, and healthy coping. The result is a new, positive pattern where we can feel empowered, connected, and confident in ourselves and in our intimate relationships. This affects our overall happiness and well-being and has far reaching positive effects on our children’s lives, professional lives, and in the larger society. Eventually, we learn how to sustain and maintain these changes so that therapy is no longer necessary. Master of Arts degree in Psychology from Naropa University in Boulder, Colorado with a concentration in Contemplative Psychotherapy (Western and Buddhist Psychology). Bachelor of Arts degree in English Literature from Western Washington University, Bellingham, Washington. 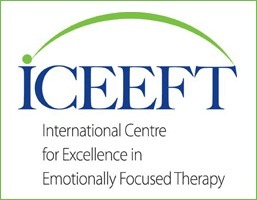 Emotionally Focused Couples Therapy (EFT) created by Dr. Sue Johnson, author of Hold Me Tight and Love Sense. Gottman Method Couples Therapy created by Drs. John and Julie Gottman, authors of The 7 Principles for Making Marriage Work and What Makes Love Last? How to Build Trust and Avoid Betrayal. 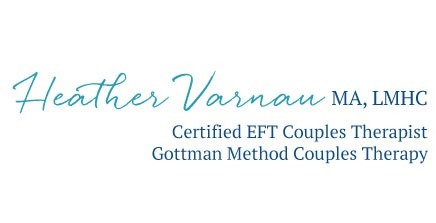 I’ve completed all 3 levels of training in Gottman Method Couples Therapy. 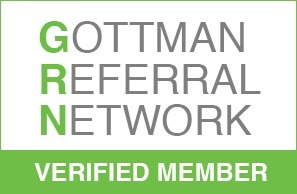 I’ve completed “Couples in Recovery,” a training in couples therapy and addiction recovery through the Gottman Institute. Internal Family Systems Therapy (IFS), developed by Dr. Richard Schwartz, author of Internal Family Systems Therapy and You are the One You’ve Been Waiting For. I meet all certification requirements for Internal Family Systems Therapy (IFS) developed by Richard Schwartz. I have been a mindfulness meditation student and practitioner since 2001. My goal is to support a safe, non-shaming, non-blaming environment for clients to learn and grow. My therapy style is collaborative and my interventions are tailored to each client’s unique needs and goals. How you engage in therapy matters too and will impact your experience and the effectiveness of therapy. People who are successful in working with me demonstrate a willingness to show up and engage honestly, and are willing to put new skills into practice. I love what I do and look forward to helping you build a happier, more connected life.